Since Dr. Scott Paja first established the College of Engineering Leadership Academy several years ago, it has continued to expand. The Leadership Academy's membership has grown to 340 members as of Spring 2018, and new applications are being submitted regularly. More and more engineering students are reaping the benefits of the Leadership Academy's EP2IC pillars: ethical, purposeful, professional, inclusive, and collaborative. In the past year, the Leadership Academy has not only grown in numbers, but in resources. Now, the Leadership Academy has a physical home in the Leadership Center, located in Johnson Hall 219. 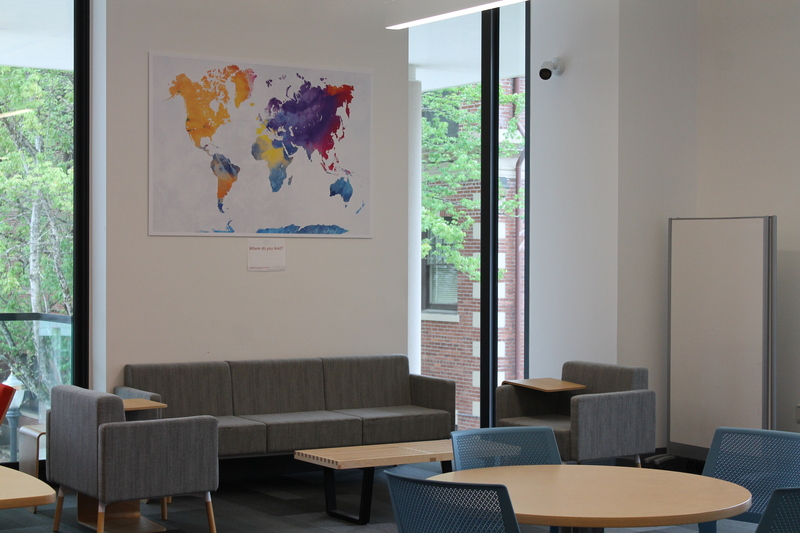 All engineering students are welcome to study, relax, and collaborate in this open space. The Center is also home to the College of Engineering Student Ambassador program. More recently, in Spring 2018, Kathryn Walters, the new student engagement coordinator for the College of Engineering, was hired to help continue the growth and expansion of the Leadership Academy. To read more about the new coordinator, please click here. Kathryn's office is also located within the Leadership Center, so she may be an accessible resource for students. Please come visit us in the Leadership Center and learn more about how we are engineering future leaders through the Leadership Academy! Not a member? Submit your application today! All engineering students in good academic standing are eligible to apply.